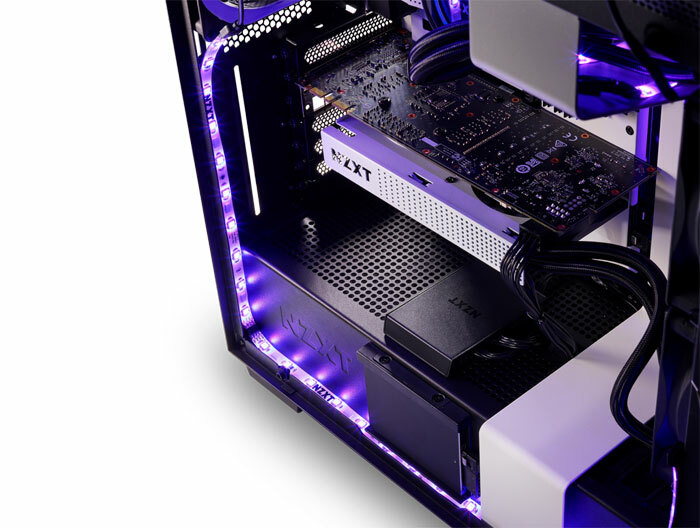 PC components and accessories maker NZXT has today launched the HUE 2 family of RGB accessories. There are 10 new products in all, plus some kits / bundles to simplify the task of getting your system RGB tuned, all powered by CAM. 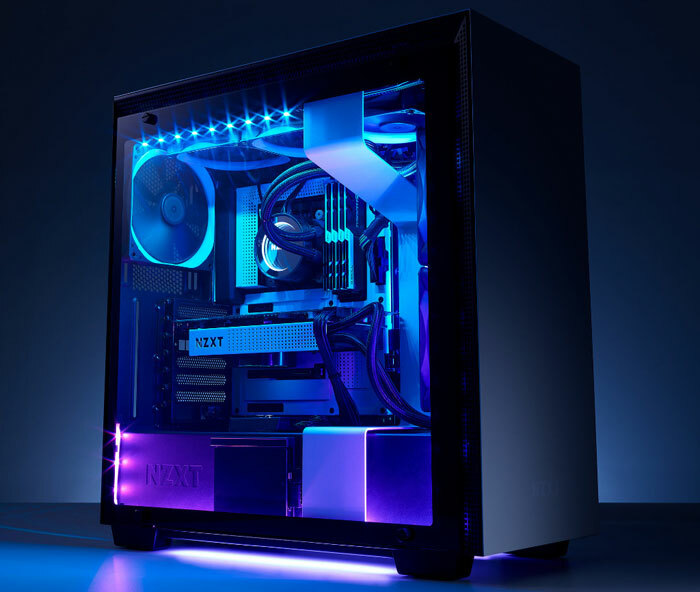 "If our H Series cases provide a canvas for people to build the gaming PC of their dreams, then our new HUE 2 family provides the palette they paint with," said Johnny Hou, founder of NZXT. "We love to celebrate the creativity of PC builders and we can’t wait to see the amazing battlestations they create with this complete line of RGB lighting accessories." HUE 2 takes a step forward in functionality by adding a microcontroller to every single accessory. Thus each HUE 2 component can identify its specific LED configuration opening up more possibilities for users. Furthermore, this change enables the mixing and matching of different components on a single channel. In all NZXT claims that, with lighting synchronisation across the full range of channels and accessories, and individually addressable RGB LEDs, there are nearly limitless lighting setups possible. Backward-compatibility with existing HUE+ LED strips and Aer RGB fans. The Starter Kits include everything you need to add amazing RGB fans to your PC and are available in three configurations: 120mm with two fans, 120mm with three fans, and 140mm with two fans. 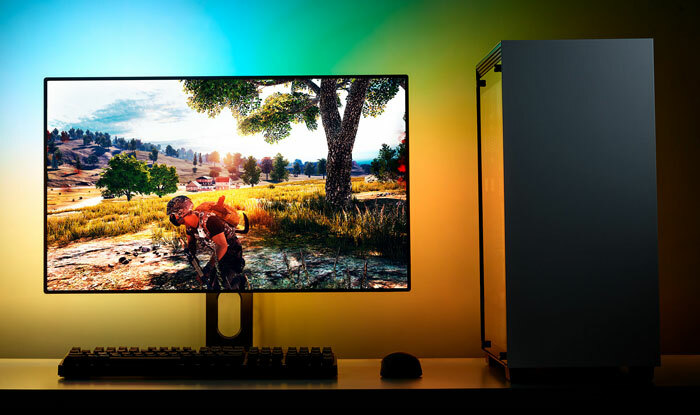 Available in two configurations, one for 21” to 26” monitors and one for 27” to 35”, the HUE 2 RGB Ambient Lighting Kit adds gorgeous lighting to your gaming PC and provides a more immersive in-game experience by projecting the colours from the edges of your display to your walls. Ambient lighting modes are available only with the HUE 2 Ambient Lighting controller and require the use of CAM as a registered user, including acceptance of the then-current NZXT Terms of Service. You can either create or augment your PC lighting with the following HUE 2 accessories: HUE 2 RGB LED strip accessory (£24.99), NZXT Hue 2 RGB Under Glow LED Kit 200mm - 2x 200mm RGB LED Underglow Module, CAM-Powered (£27.99), Hue 2 RGB Under Glow LED Kit 300mm - 2x 300mm RGB LED Underglow Module, CAM-Powered (£32.99), HUE 2 RGB Cable Comb Accessory (£27.99) ,and a single additional Aer RGB 2 120mm Fan (£26.99) or Aer RGB 2 140mm Fan (£29.99). All the above kits and components will become available in mid-October here in the UK, NZXT told HEXUS in an email. I don't want my PC to look like a x-mas tree. Thank you. I followed the link to their website and found only seven products, including the kits/bundles…..
None of them are especially fancy and just more of the usual strips, fans and so on. Forget the future - It's the today… and to some extent the yesterday, but only because it's the today that we were promised by the sci-fi of yesterday. i can save the ninety quid for the ambient set merely by turning my monitor so it faces the wall.